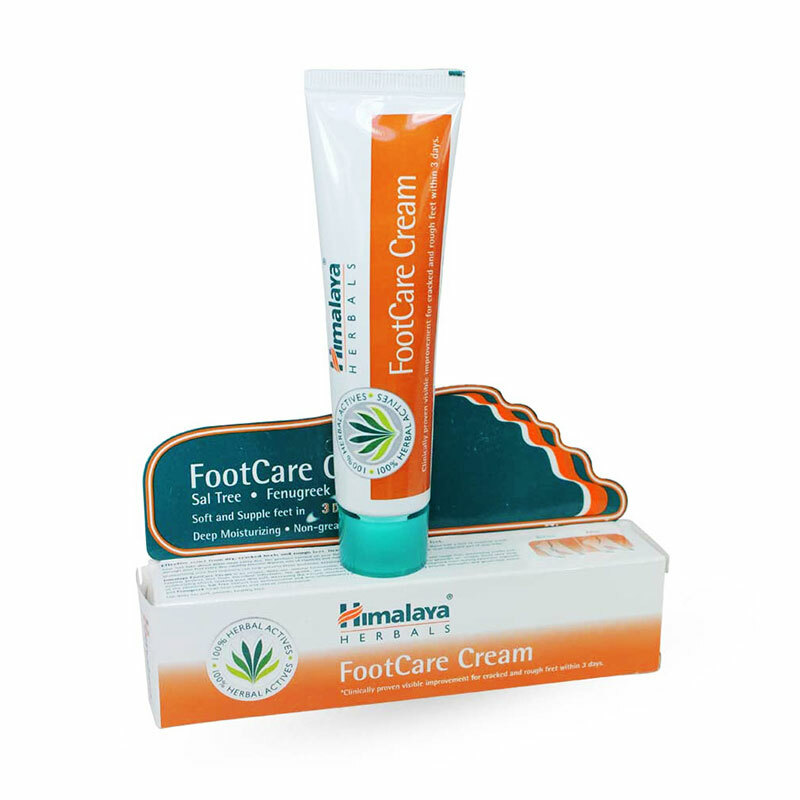 Himalaya's FootCare Cream cares for your cracked heels and rough feet with natural ingredients. Enriched with the goodness of Honey, Turmeric, Fenugreek seeds and Sal Tree extract, this cream leaves your feet feeling soft in one week. Sal Tree extract is used as an ingredient in ointments for skin diseases and in ear medicines. Its antimicrobial and anti-inflammatory properties help heal cracked heels. Honey, with its bactericidal and antiseptic properties, is extremely important in Ayurveda. Used in a variety of medicines, honey is also an effective moisturizing agent. Turmeric has been used as an antiseptic for centuries. The herb also contains strong anti-inflammatory properties, which soothe your feet gently. Fenugreek has been traditionally used in Ayurvedic medicines and is an excellent moisturizer, specially formulated to hydrate dry skin. Applied externally, the herb is also beneficial for boils, abscesses and ulcers. Ginger is used externally as a local circulatory stimulant which keeps the feet warm, preventing the skin from cracking due to the cold. Wash feet with lukewarm water and pat dry. Apply the required quantity of FootCare Cream over the affected area twice daily, once in the morning after bathing and again at bedtime.